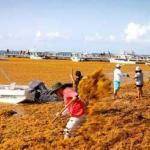 No Seaweed Sargassum Cancun Mexico Winter holidays looks amazing! The winter season it’s here, and Cancun & The Riviera Maya is ready for you! 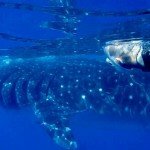 Look recent Instagram photos that confirm that this is the best beach destination you must visit. Last post we explain the unknown behavior of seaweed in this destination, during past summer massive amount of these arrives. During September the seaweed starts to disappear all around the Riviera Maya beaches at the point there are minimal affectations today. A recent view from hotel Azunik, the must Instagrammer hotel in Tulum. Guacamole at the beach, best decision ever!! The turquoise waters are back to refresh the warm winter days at The Caribbean. Playa Delfines the iconic beach of Cancun at its best for this season. With no Seaweed Sargassum Cancun, Mexico Winter holidays looks amazing to relax at the beach during the beautiful sunsets. On the other hand, The Riviera Maya has much more to offer, take the adventure and discover amazing cenotes and Mayan ruins. Near these beach destinations, you can access to local Mayan culture, take the high way and discover cities like Valladolid or Merida Yucatan. 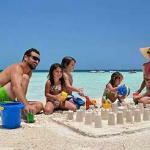 However, the weather is also another important factor you must consider during your vacations in The Mexican Caribbean. Strong winds from the north are crossing almost all the country, affecting daily activities in the area. 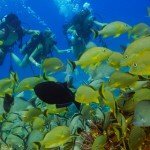 Main affected tours are snorkeling, fishing, water activities and in some point visit to Mayan ruins experience close to the sea. Above all, always check this conditions with tour operators to avoid any bad experience or unsafe situations. Therefore visiting cenotes, theme parks, local streets full of restaurants and local stores will balance these winter days. In conclusion, no more seaweed in the destination will become another amazing Christmas holiday in paradise! Last but not least, if you plan your trip or looking for amazing tour experiences in the destination please contact us we can help you.